The tanned skins of mummies prove humans have been pushing pigments into the skin to create tattoo art for many thousands of years. Unfortunately not all cultures leave such perfectly preserved canvasses for us to study. Now, a tool discovered decades ago in Utah provides solid evidence that the Ancestral Pueblo people indigenous to the region were inking their bodies 2,000 years ago, resetting the timeline on tattooing in America`s southwest by a whole millennium. "Tattooing by prehistoric people in the Southwest is not talked about much because there has not ever been any direct evidence to substantiate it," says Washington State University anthropologist Andrew Gillreath‑Brown. "This tattoo tool provides us information about past Southwestern culture we did not know before." The pen-sized implement consists of a pair of prickly pear cactus spines bound to a short skunkbush sumac stick by thin strips of yucca leaf. The functional end is stained black, most likely by the charcoal that would have served as pigment. Brown didn`t discover the tool personally, chancing upon it two years ago while taking inventory of items recovered during a 1972 excavation of a well-known dig site called Turkey Pen Ruin. The surrounding region is renowned for archaeological finds describing a diverse culture that flourished across Western America for centuries before vanishing with barely a trace sometime before the 14th century. For all historians have learned about the fate of the Ancestral Pueblo people, there is still so much to learn about their ancient past. Previous discoveries of similar cactus-based implements in the area suggested tattooing was being practised just prior to their culture`s end, around 1100 to 1280 CE. This new find indicates the Ancestral Pueblo people had already been drawing designs into their skin for at least 1,000 years. 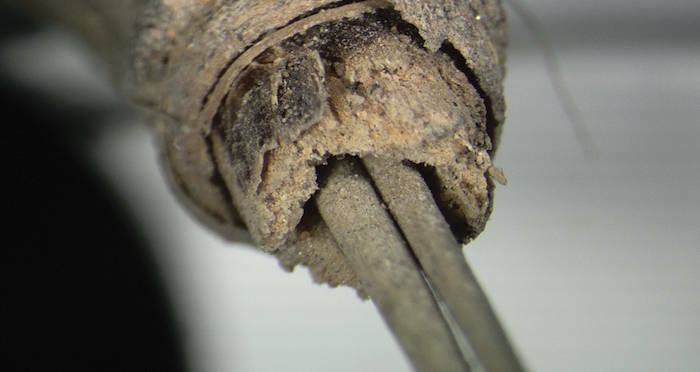 To confirm the tool`s purpose, Gillreath-Brown and his team analysed the artefact with a scanning electron microscope, looking for signs of wear. They also recreated the instrument and tried it out on a pig skin. Sure enough, the markings on the tip of the test spines were a good match for those on the artefact. None of that is irrefutable proof that tattooing was a common practice among the early Ancestral Puebloans. But it shows that the practice had at least emerged by what`s known as the late Basketmaker II era, which has implications for anybody interested in understanding why humans started to poke pictures into their flesh. 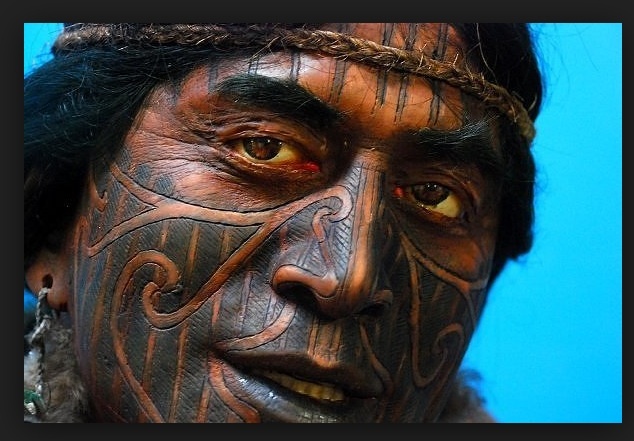 The origin of tattoos is an intriguing question for anthropologists. We`ve clearly been at it for a while now, but questions remain on when and why humans started the practice in the first place. There`s a general sense in the research community that tattooing is somehow related to settlement and the rise of agriculture. One of the team, archaeologist Aaron Deter-Wolf from the Tennessee Division of Archaeology told Krista Langlois from National Geographic that tattoos might have emerged as a way to maintain cohesion between groups. "When you`re living cheek by jowl with these new people to whom you`re unrelated, you need to come up with things that will bond the group together," says Deter-Wolf. With tattooing implements now appearing during a period when people in Western America were building new kinds of structures, changing how they gathered food, and expanding in numbers, we have a small piece of evidence that might help fill in the blanks. We can only guess at the sort of designs and images the Ancestral Puebloans might have pressed into their bodies. There are potential clues on ceramic vessels and effigies that regularly display lines of dots. Such patterns look like tattooed markings, but could depict jewellery, scars, paint, or clothing, making it impossible to say for sure. Until we have a preserved example of this oldest of ink, we can only speculate. This research was published in Journal of Archaeological Science: Reports.